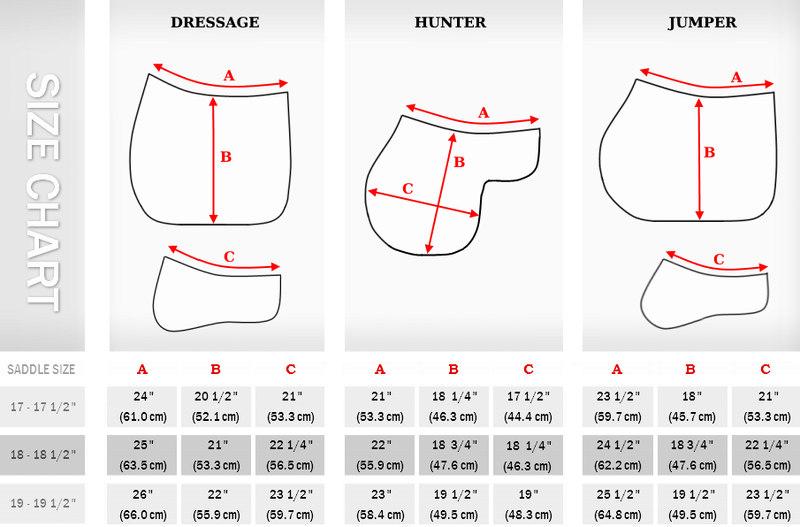 Navigate... Home Technology Jumper saddle pads Hunter saddle pads Dressage saddle pads Eventing saddle pads Reversible half pads * Inserts / Shims Saddle Fitting Product care Shipping / Returns About us Contact F.A.Q. Two large pockets are designed specifically to ensure proper fit of the saddle and comfort for the horse by accommodating both comfort-cushioning and saddle-fitting shims or inserts. ❶ High-Resilience open-cell foam shims allow for the overall weight to be redistributed over a larger area, thus minimizing pressure points. 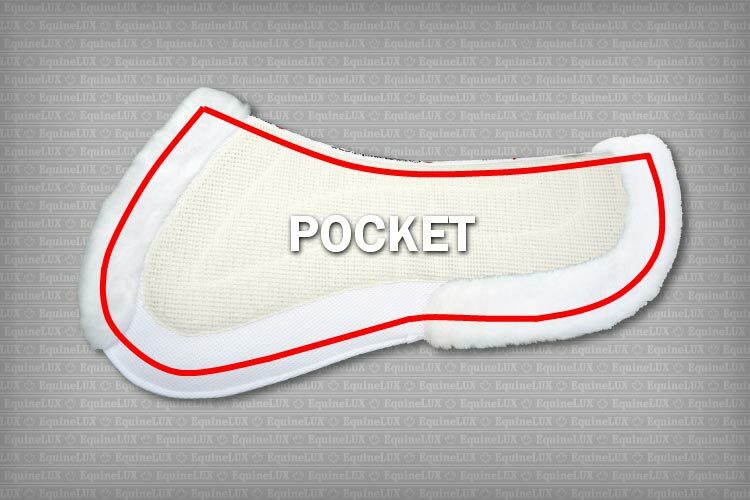 ❷ Both authentic and custom-made shims can be easily inserted and removed due to the wide pocket openings. ❸ Non-Slip mesh upper and lining steadily secure both saddle and the saddle pad in the right place, preventing them from sliding and shifting. 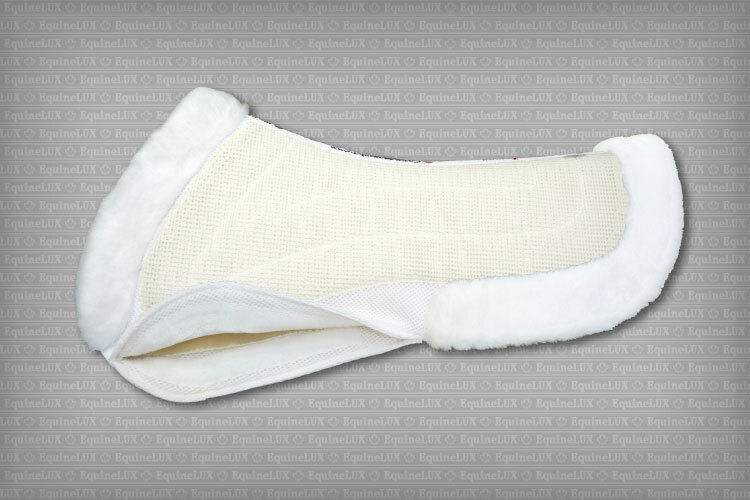 ❹ Breathable 3-Dimensional Spacer textile reduces heat build-up and provides excellent moisture vapor transfer. 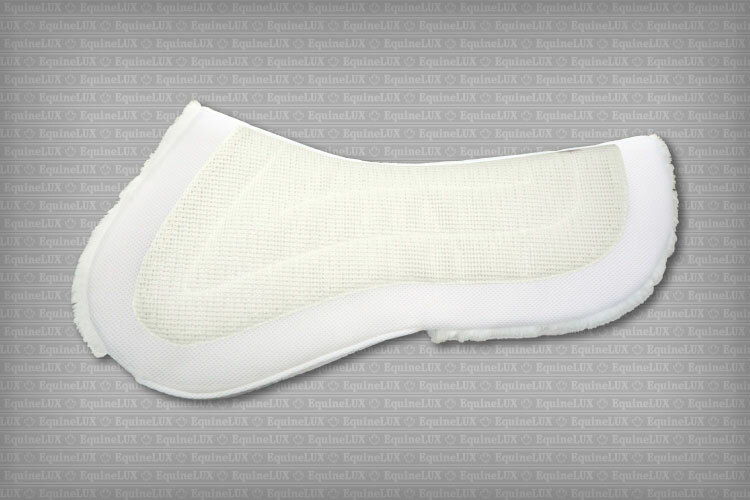 Due to open-cell structure of the 3-D Spacer textile, BufferLUX half pad dries quickly and retains its shape. ❺ The combination of the springy 3-Dimensional Spacer textile and High-Resilience open-cell foam shims allow for the overall weight to be redistributed over a larger area, thus minimizing pressure points. ❻ High-quality fleece front and back trim makes BufferLUX Jumper half pad attractive both in terms of price and durability. ❼ BufferLUX Jumper half pad can be used both with and without shims. 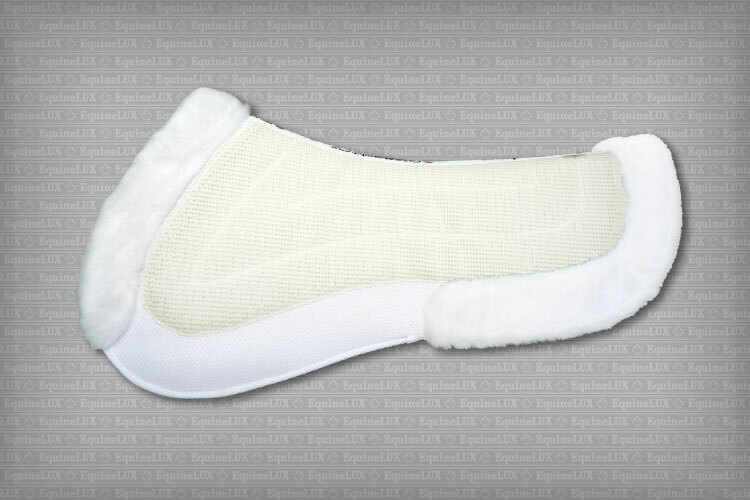 ♞ NOTE: A pair of High-Resilience foam full-size inserts is included in the package. 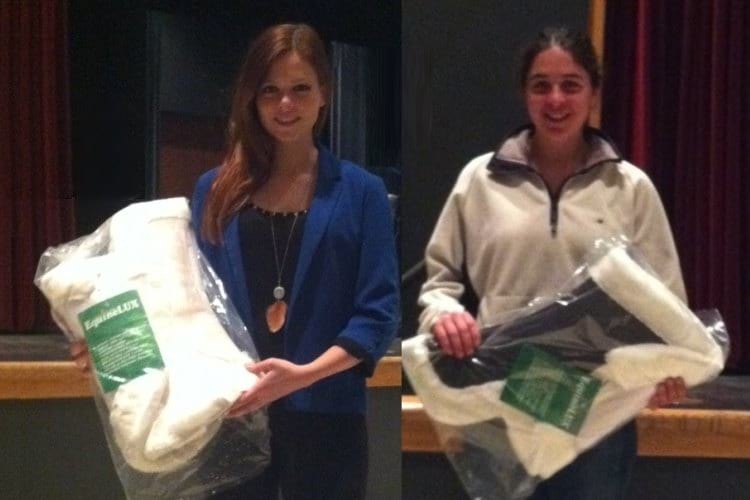 17" - 17 1/2" 18" - 18 1/2" 19"
Julia Tully, Canton, MA, United States --- I have got a pad from EquineLUX and have actually got multiple friends to purchase them as well. 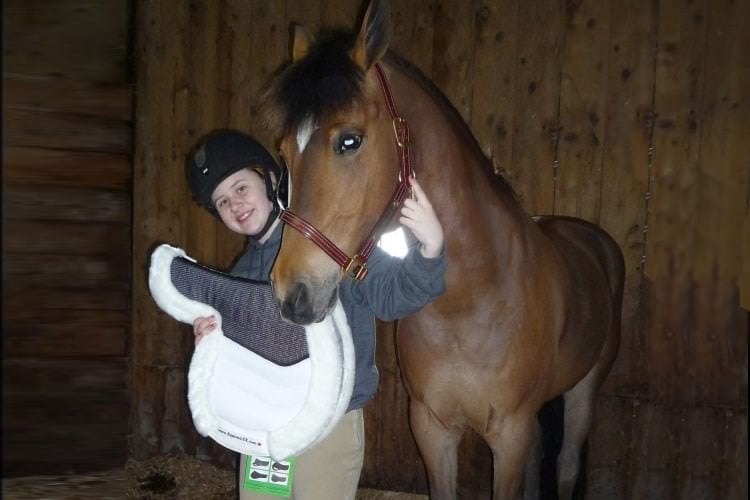 Monica Silver, Dexter, MI, United States --- I received my new hunter pad yesterday and I am very happy with it! It is just how I wanted it and fits perfectly! 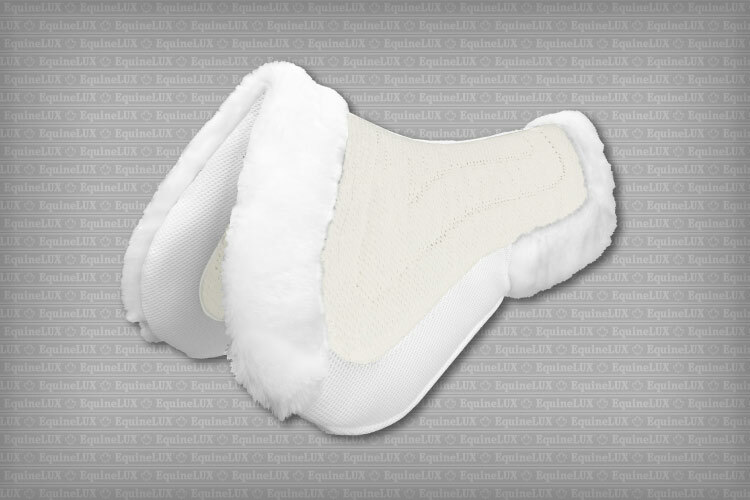 Why EquineLUX saddle pads are different? 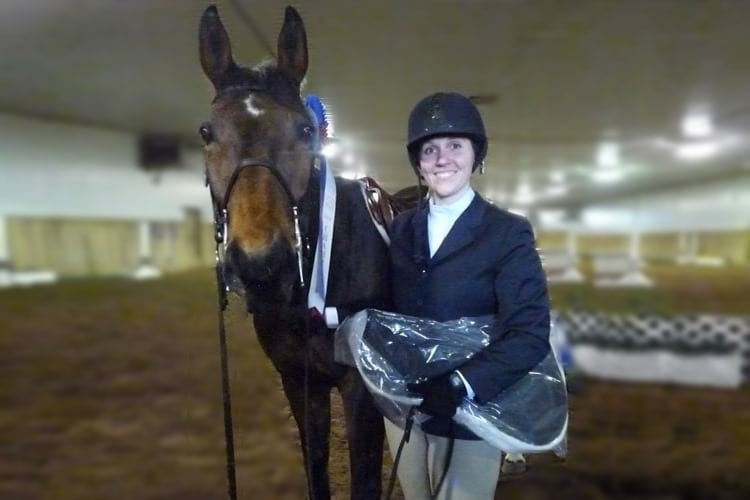 Are the Saddle Pads machine-washable? Is the foam on the inserts memory foam? Do you offer warranty on your products? 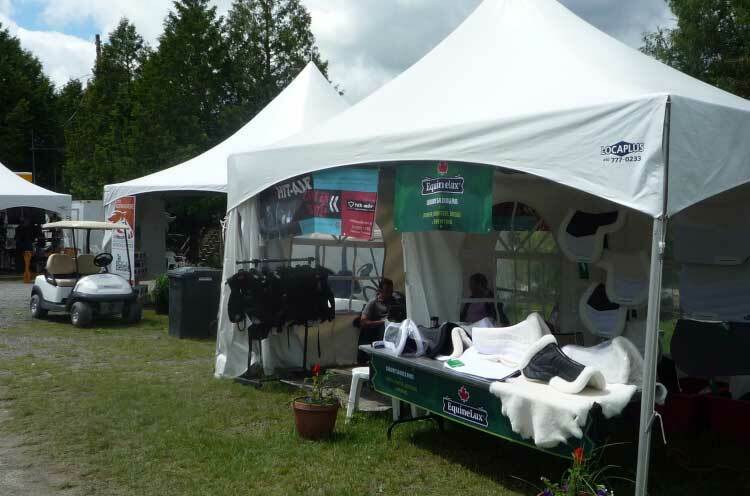 What if I need my Saddle Pad urgently?